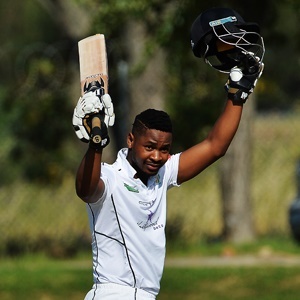 Cape Town - A battling century by Khaya Zondo was the catalyst for the Dolphins to earn a fighting draw against the Titans on the final day of their Sunfoil Series clash at SuperSport Park in Centurion on Friday. The visiting captain ended unbeaten on 102 (210 balls, 14 fours, 2 sixes) and needed all his powers of concentration to get his side to 311 for seven, before shaking hands with opposite number Aiden Markram. There were only two support acts for the Dolphins after all their other batsmen struggled. Andile Phehlukwayo celebrated his call-up to the Proteas squad against Bangladesh next week by making 62 (132 balls, 10 fours, 1 six). The all-rounder shared in a critical 119-run seventh-wicket partnership with Zondo at a time when the hosts looked destined to press on for victory after the visitors had slipped to 162 for six. Before that it was Vaughn van Jaarsveld's 68 (131 balls, 9 fours, 1 six) that kept the Durban side afloat. South Africa paceman Morne Morkel was the pick of bowlers with three for 44, while Rowan Richards bagged two for 41.